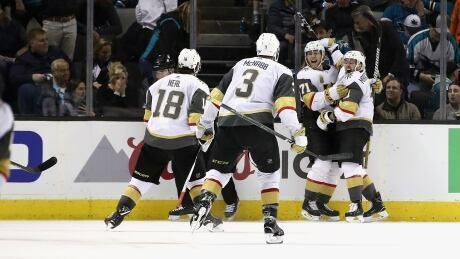 William Karlsson scored 8:17 into overtime and the Vegas Golden Knights bounced back from a blown lead late in the third period to beat the San Jose Sharks 4-3 on Monday night to take a 2-1 series lead. In the NFL, 40-year-old cornerbacks are kind of like unicorns — they are not supposed to exist. On Monday, the Minnesota Vikings announced that 39-year-old Newman re-signed and will return for his 16th NFL season in 2018. The veteran should be a good mentor for new Vikings cornerback Mike Hughes, the team&apos;s first-round pick out of UCF (number 30 overall) in last week&apos;s draft. 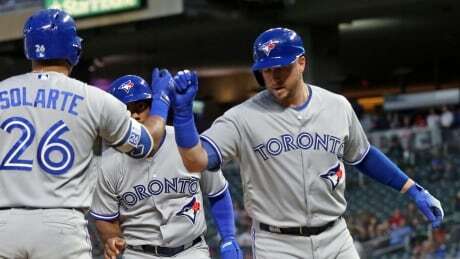 Justin Smoak and Russell Martin homered, Yangervis Solarte had three hits and the Toronto Blue Jays edged the Minnesota Twins for a 7-5 win on Monday night. Ending months of whispers and speculation, quarterback Tom Brady confirmed Monday that he will be back playing for the New England Patriots this fall. Speaking with moderator Jim Gray at the Milken Institute Global Conference in Santa Monica, Calif., the 40-year-old QB reaffirmed his stated desire to play for several more years. Brady guided the Patriots to the Super Bowl for the eighth time this year, an NFL record for any player, and he is a five-time champion. 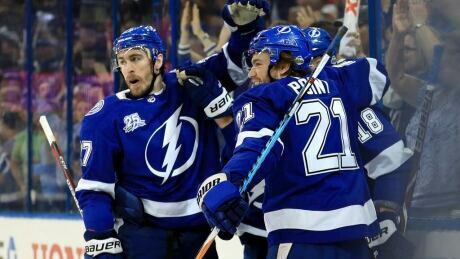 Brayden Point had an empty-net goal and three assists and Tampa Bay Lightning found a way to slow Boston's high-scoring line of Patrice Bergeron, David Pastrnak and Brad Marchand to beat the Bruins 4-2 in Game 2 of their second-round playoff series Monday night. 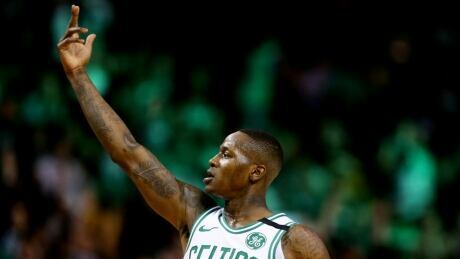 Terry Rozier scored 29 points and first-year Celtics forward Jayson Tatum scored 28 to outplay redshirt rookie Ben Simmons and lead the Boston Celtics to a 117-101 victory in Game 1 of the Eastern Conference semifinals on Monday night. Fulham and Jacksonville Jaguars owner Shahid Khan is striking a lot of the right notes when it comes to his desired purchase of Wembley Stadium. Another possibility, which has already been looked at by the FA, is the use of “video boards” which would be “automatically lowered on cylinders” to close the top tier of Wembley for certain events to give it a reduced 50,000-seat capacity. “There’s a lot creative stuff that can be done,” Khan said. Safety Earl Thomas is still a member of the Legion of Boom with the Seattle Seahawks, but the Dallas Cowboys are still in hot pursuit of the All-Pro. According to the Dallas Morning News and 105.3 FM in Dallas, the Cowboys did not cease discussions about adding Thomas at the conclusion of the draft on Saturday. Dallas made two trades during the draft -- acquiring wide receiver Tavon Austin from the Los Angeles Rams and shipping slot receiver Ryan Switzer to the Oakland Raiders -- but a deal for Thomas never materialized. New England Patriots quarterback answers whether or not he feels appreciated by Patriots&apos; fans. Weren’t the Seahawks supposed to be asking for at least first- and third-round picks for Earl Thomas? Ian Rapoport of NFL Media reports the Seahawks asked for the Cowboys’ second-round choice for Thomas on Friday. Rapoport adds that the Cowboys might have had Thomas for a third-round pick “and a lot more,” but Dallas declined that too. You are currently browsing the Sportspool.com Sports News blog archives for April, 2018.